Brooke Rockey's estate planning practice focuses on helping individuals and families enhance their lives today and secure their futures tomorrow. She provides the personal attention to each family and individual that they expect and deserve. Her compassion, understanding and expertise help clients navigate through the often confusing maze of financial and legal decisions to create plans that ensure the well-being of their families and the accomplishment of cherished family and personal goals. Her legal expertise includes family protection, wealth preservation, and values-based estate planning. Whether you are married or single, with a traditional family or blended one, just starting out or looking back on a life well-lived, Brooke will help you to craft a plan that achieves your goals for your loved ones today and for years to come. Her compassion for her clients and their families helps make their experience of going through the estate planning or administration process as stress and anxiety free as possible. Brooke is a graduate of Huntington University with honors, where she obtained a B.S. in Economics, and Regent University School of Law. Brooke concentrates her practice in the areas of estate planning and administration, business formation, and small businesses. Brooke has been admitted to the bars of the United States District Court for the Southern and Northern Districts of Indiana and the Indiana Supreme Court. 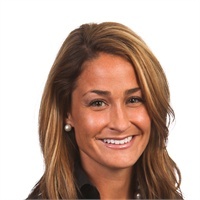 Brooke is a member of the Real Property, Probate, and Trust Section of the Indiana and American Bar Associations, and a member of the Business Law Section of the Indiana State Bar Association.